Thank you salamander788 for your quick response. It wasn't growing directly off wood but, there is plenty of dead wood around. Are coral mushrooms edible? Went out in the woods and found this mushroom. Can anyone tell me what it is please. 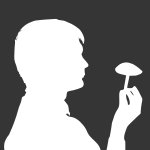 Scar57 posted a topic in What Kind of Mushrooms are you Growing?